Learn how to check if your Postgres query is starved for memory by looking at hash tables inside Postgres, how large a Postgres table can be, and more. A great read on migrating from RethinkDB & ElasticSearch to a consolidated Postgres DB. 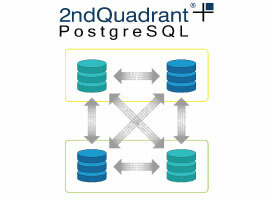 Postgres-BDR, multi-master replication system for geographically distributed clusters, runs as an extension to PostgreSQL 9.6 for 2ndQuadrant 24/7 Support customers. BDR uses highly efficient, asynchronous logical replication for up to 48 nodes. An introduction to a tool that can help with debugging incredibly complex queries, an example of which is shown here. All connections are not the same to Postgres, some sit idle doing nothing, others are doing work. Here’s a walk through of how to monitor & what to do with various connection types. How Can I Return Multiple Rows of Records in PL/pgSQL? Citus is a distributed database that scales out Postgres. Replaces less and brings in support for tabular data.